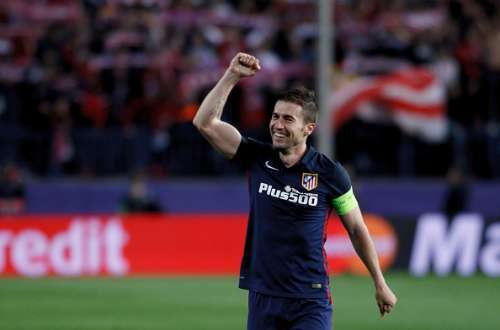 Atletico Madrid midfielder Gabi said Bayern Munich had been his club's toughest rival in this football season's European Champions League and that the second leg of their semifinal was their most difficult game. Atletico won the first leg against Bayern at Vicente Calderon Stadium 1-0 and lost Tuesday in Munich by a score of 2-1, thus securing a berth in the final on away goals, reports Efe. "Bayern was our toughest opponent and gave us our most difficult match. Luckily, all the suffering was worth it and we're in the final," the Atletico captain said in a promotional video about the club's passage to the Champions League final. Atletico's road to final also included a victory over defending champions Barcelona in the quarter-finals. Gabi said fate had given Atletico "a good opportunity" and the team was eager to capitalise on it, adding that now is the time for the club to make history by defeating Real Madrid in the final. Atletico Madrid have never won the Champions League but they have twice finished runner-up, including an agonising loss to crosstown rivals in the 2014 final. On a personal level, the 32-year-old Gabi described his career at Atletico dating back to 2011 as "a nice story" and said he wanted it to end well.